La canción de los niños muertos / The song of the dead children. 2008. Set on a remote beach, this long short is at times a harrowing account of brutality and recrimination. Several traumatised children mete out punishment to their elderly father for unimagined crimes in this meditation on grief, blame and consequences. There is a stand-out performance from the actor playing the eldest son, Emilio, a thug shaped by tragedy and fear. It is difficult to surmise at times whether the gritty realism here is deliberate, or merely the landscape of an angry teenager's violent fantasies. As tension between Emilio and his father continues to mount, the rivalry between the brothers is also played out in a series of confrontations. Magdalena, the only girl, retreats into silence as her body betrays her slow passage into womanhood and she is predictably a caring figure who consoles her youngest brother, who refuses to emerge from the wardrobe, where a mysterious silver chalice is kept. This chalice serves a perhaps surprising purpose in the film's conclusion. Download La cancion de los ninos muertos / The song of the dead children. 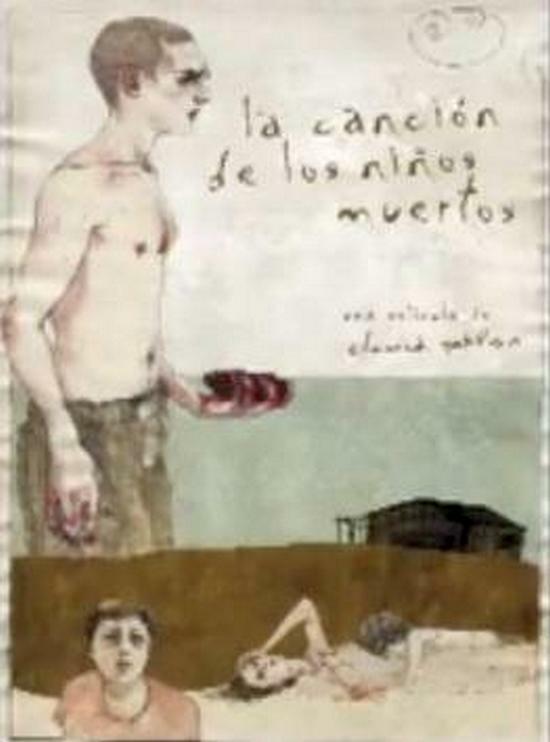 La cancion de los ninos muertos / The song of the dead children. 2008.